From the Lowry’s of Sterling, VA, Merry Christmas! 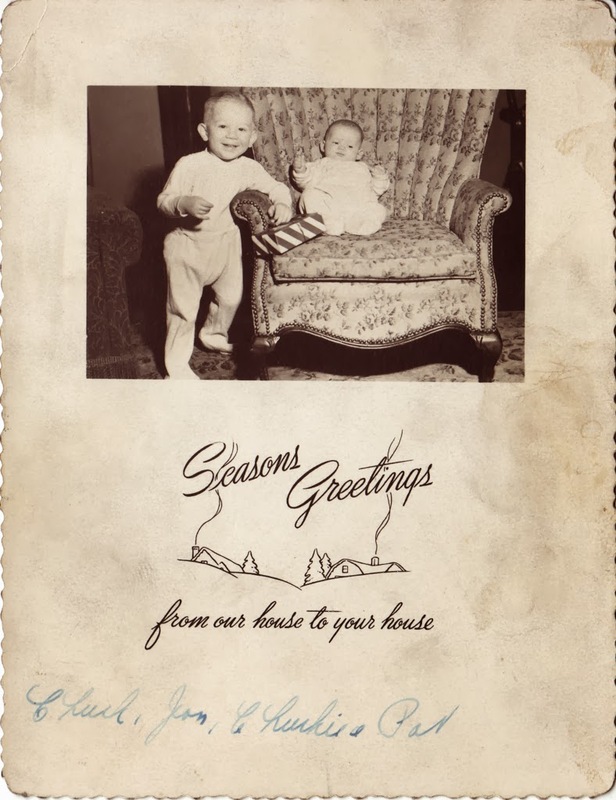 This is the 1951 Christmas card from the new family of my paternal grandparents Charles and Jean Lowry. In the photo are my uncle Chuck (b. 1949) and my dad Pat (b. 1951).